KXIP Vs RR Match Prediction: Who Will Win Today’s KXIP Vs RR IPL Match? If the cricket pundits are to be believed, the Rajasthan Royals do need to worry about the fact that none of their batsmen this IPL 2019 season have been able to score too many runs. Quinton de Kock has been an opener in numerous matches this season but hasn’t been able to score more than 27 runs for the team. While the Kings XI Punjab have had a so-so run so far. They’ve won some good games and lost out to some of the better teams. However, if there is one thing that makes these two teams differ, then it is the fact that the Kings XI Punjab do not seem to be caving in with their losses. While the Royals do seem uncertain at times. They’re on the 7th spot at the moment. 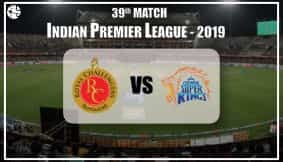 Who do you think will win between the Kings XI Punjab and the Rajasthan Royals in the 32nd match of the IPL 2019? Will the Shers roar and take home the victory? Or will the Royals set the pace and win? Ganesha has carefully analysed this duel. Let’s find out what He has to say. According to Ganesha, the key players from the Kings XI Punjab will be KL Rahul, Mohammed Shami, R Ashwin & CH Gayle. And the key players from the Rajasthan Royals will be S Gopal, JC Archer & AM Rahane. Who do you think will win the KXIP vs RR toss? Read to find out! As per Ganesha’s findings, the toss in KXIP vs RR IPL match, will be won by Kings XI Punjab. According to Ganesha, the team to win between KXIP and RR match 2019 will be Kings XI Punjab.